It wasn't supposed to go down like this for Tommy Brookens. He was the manager-in-waiting. The heir to the dugout throne. At least, that's what some folks surmised, when Brookens was hired to replace Andy Van Slyke as the Tigers first base coach prior to the 2010 season. I must confess. You're a fair cop. You got me dead to rights. I was one of those who thought Brookie would make a dandy big league manager. I said so HERE. 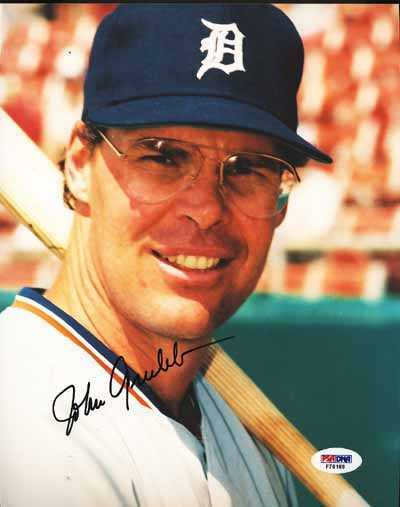 Brookens had done some managing in the Tigers' low level minor league affiliates, so when he was brought in to replace AVS as first base coach in 2010, and given Brookens' deep ties to the Tigers that went all the way back to the mid-1970s when he was drafted as a third baseman, the dots started to be connected. It didn't matter that those connecting the dots had no say in the matter, of course. 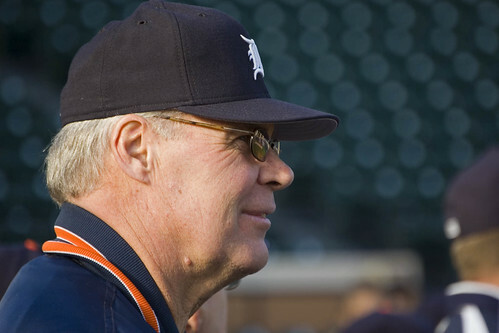 When Brookens slid over to the other side of the diamond and replaced Gene Lamont as third base coach prior to the 2013 season, it fueled the speculation that Brookens would take over the Tigers when Jim Leyland called it quits. A couple funny things happened, though. First, few expected Leyland to step down this soon. It was generally accepted---with resignation by his haters---that the skipper would at least manage in 2014. Second, after Leyland's surprising decision to retire from managing, Brookens didn't even get a sniff from GM Dave Dombrowski. DD interviewed hitting coach Lloyd McClendon, and that was it from Leyland's staff. The heir apparent, Brookens, went home to Pennsylvania and did some hunting, unsure about his future as a coach, let alone as manager. Well, nothing is unsure anymore. The Tigers announced the hiring of Omar Vizquel as first base coach, pretty much rounding out new manager Brad Ausmus' staff. There doesn't seem to be a place for Brookens with the Tigers, anymore. All that talk about Brookens being brought to the coaching staff in 2010 as a form of managerial grooming has turned out to be just that---talk. McClendon got the Seattle Mariners job, but informed Brookie that there isn't a place for the Pennsylvania Poker in the Great Northwest, either. Brookens recently told George Sipple of the Detroit Free Press, "We'll see how things go in the next couple weeks," when asked about his coaching future---anywhere. It won't be in Detroit. As far as baseball cities go, Detroit certainly must be the one where they talk about the third base coach more than any other burg. They hated Lamont, culminating in his horrific send of Prince Fielder in Game 2 of the 2012 World Series. After last season, Lamont became Leyland's bench coach. A mysterious problem with Geno's knees was blamed for the move off the field and into the dugout. Brookens moved from first base to third. I wrote that Brookens would be getting the longest honeymoon ever afforded a 3B coach because of the act he was following. I didn't get that one right, either. It didn't take long for fans to complain about Brookie as third base coach. Not long at all. Being the third base coach for the Tigers quickly had become high on the list of thankless jobs in Detroit sports. No one, after all, hangs around the water cooler the next day, lauding the third base coach's decisions. But in Detroit they seem to go out of their way to rake him over the coals. So Ausmus is the new manager, not Brookens. Tommy never had a shot. The new manager is bringing in mostly his own guys. That is par for the course. Tommy Brookens won't be one of the Leyland holdovers, joining Lamont and pitching coach Jeff Jones. Tommy won't be on McClendon's staff in Seattle, either. It's funny about heirs apparent. Someone always seems to forget to tell the guy doing the hiring.